I was thrilled when Candice contacted me about arranging the wedding flowers for her special day which took place at The Lost Orangery. It is always a pleasure to contribute towards smaller weddings. Having spent many years arranging huge lavish affairs with a large team, it is always a real treat to work with the bride personally and be part of a more intimate day. There was much suspense and excitement driving through the lush winding country lanes, and once I turned the corner into the grounds the spectacular setting literally took my breath away. 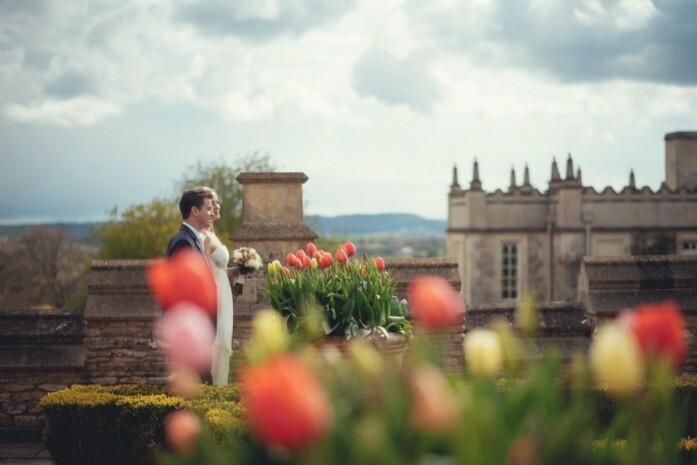 Candice and Matthew chose to marry in the most fairy-tale like boating lodge within the grounds of The Lost Orangery, nestled in the heart of Wiltshire. 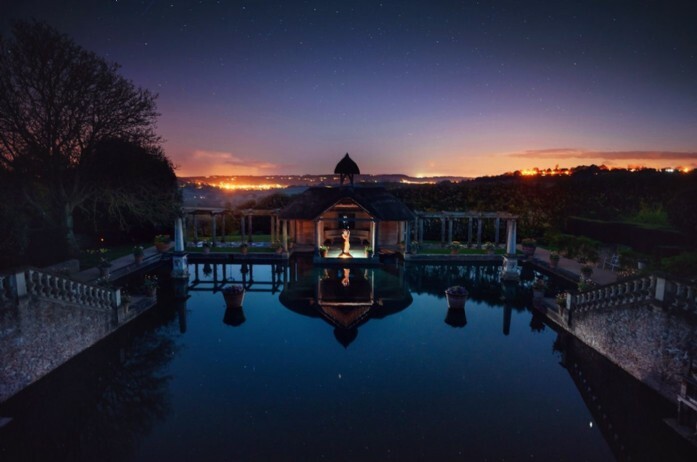 The grounds are decorated with magnificent pots of brightly coloured tulips, carefully manicured shrubs and quirky statues, all overlooking a view to die for. 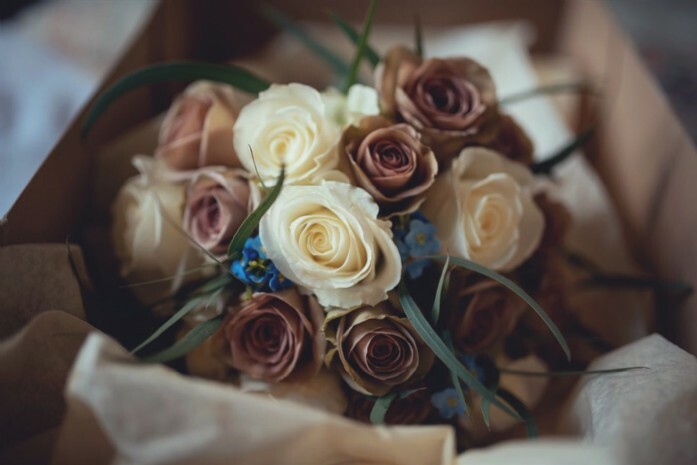 Candice chose a simple hand tied posy of vintage amnesia and ivory roses, fragrant eucalyptus and forget me knots, which I tied with a vintage wedding ring and satin ribbon. 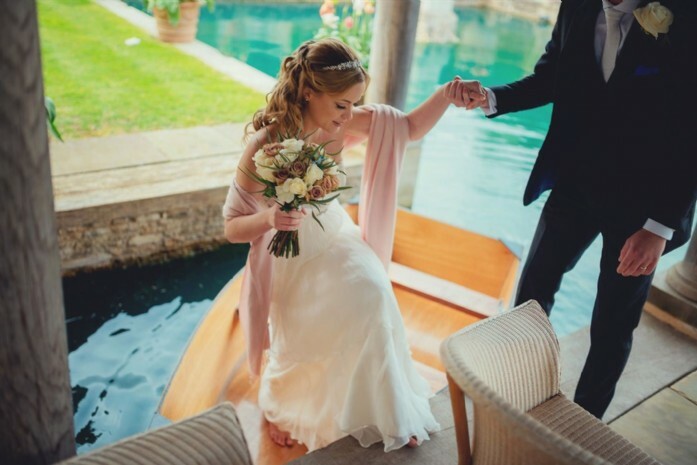 Candice looked stunning in her elegant flowing dress, which paired beautifully with the romantic setting and bouquet. The wedding breakfast took place in the fabulous Orangery which is full of interesting pieces and decorated in a warm orange palette. This heavily influenced the floral decoration ideas, and we decided to do a simple table runner on the long table of sixteen guests. 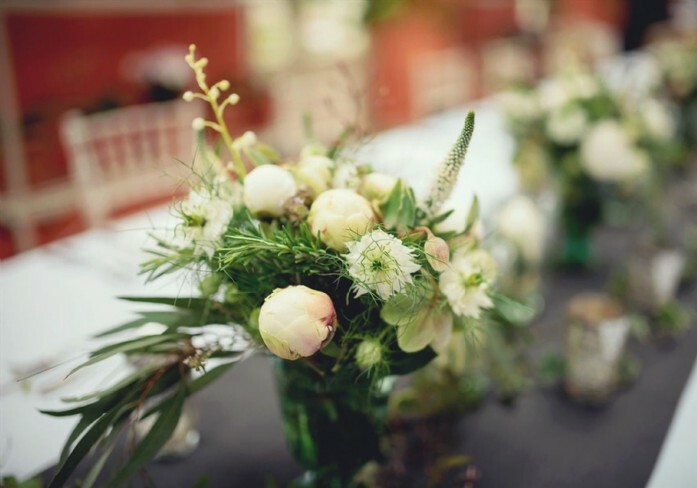 Vintage vases bloomed with pretty white peonies, understated nigella, charming Veronica tales, fragrant sweet peas, lily-of-the valley with rosemary and eucalyptus, all carefully bunched together with trails of gorgeous jasmine and ivy. 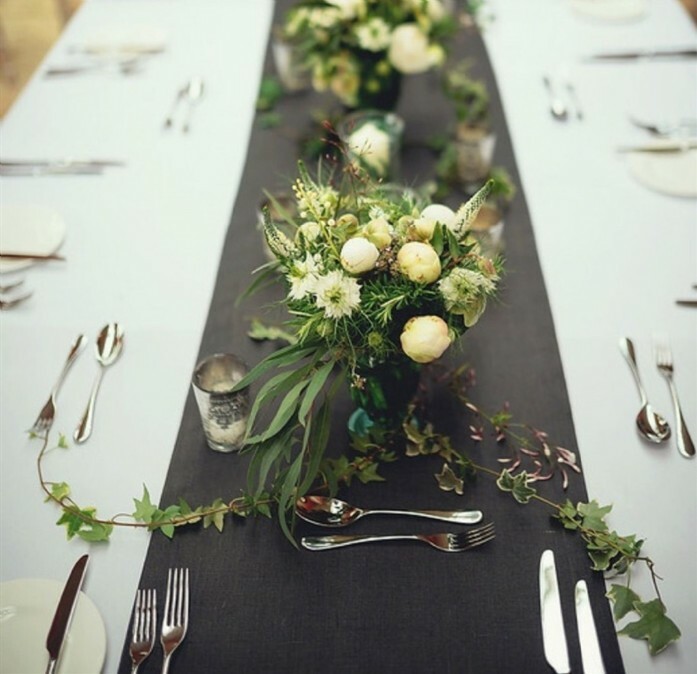 We set the display on a slate grey linen runner with hurricane lamps and etched silver tea lights, which contributed to the ambiance of this special celebratory meal. 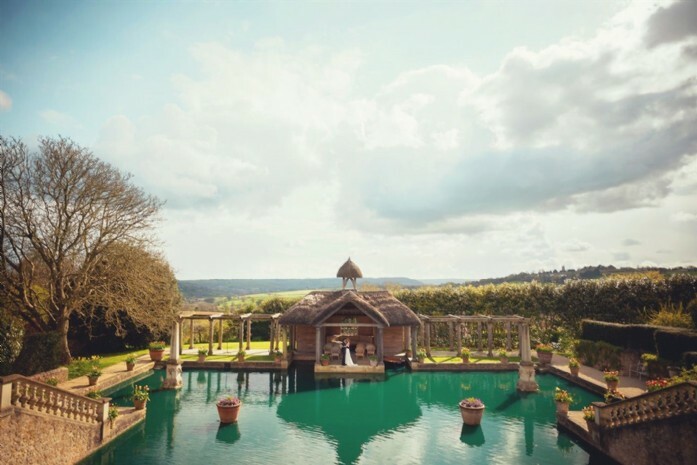 As you can see from these amazing photographs Jaob has really captured the romance and intimacy of such a special day in a truly spectacular setting. I hope the opportunity arises to visit The Lost Orangery again one day. Photographs by Joab Smith photography. 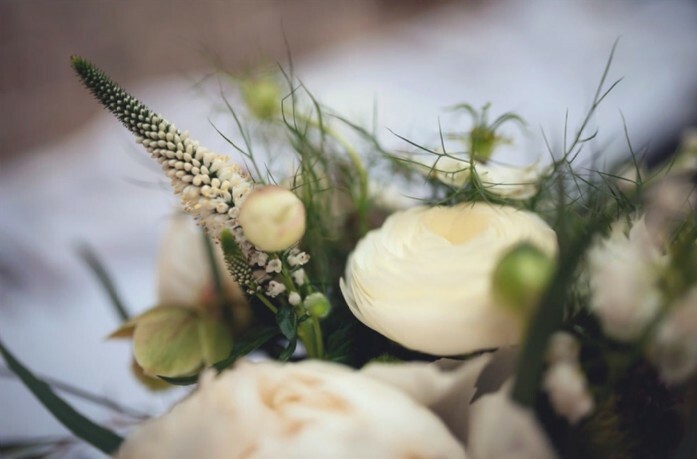 Jill Jeffries specialises in beautiful wedding flowers in Bath and Wiltshire.